Pete Galassi is the Sr. Manager for Mercury Insurance Group. He has been involved in the insurance industry and SIU for 32 years having previously worked as an SIU manager and investigator for other major insurance carriers. Prior to the insurance industry he worked as an officer for the Gardena Police Department and investigator for the Orange County District Attorney’s Office. Pete was previously the president of the So. California chapter IASIU for four years. He was chosen as Southern California Investigator of the year in 2006 and 2011 for his investigations on complex cases involving water restoration fraud and contractor fraud. He has been involved in several major case investigations which resulted in the closure of several water restoration companies. 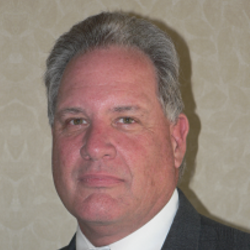 He possesses expertise on both property / casualty type insurance investigations. Pete possesses a Senior Claims Law Associate (SCLA) designation from The American Education Institute and Certified Insurance Fraud Investigator (CIFI) from IASIU. Based on his experience and training he has lectured at the National IASIU conferences, So Cal IASIU seminars, Combined Claim Conference (Both Northern and Southern California) and Southern California Fraud Investigators Association on a multitude of topics. In addition he has been sought out by the NICB to assist their training department in developing classes which focus on “red flag” identification on a variety of insurance related topics. These classes are used routinely by the insurance industry to train adjusters/investigators to identify suspect claims.